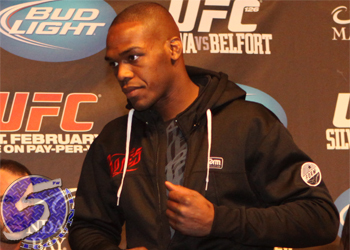 Jon Jones (Pictured) is no longer a 12-to-1 odds-on favorite at UFC 152. The bad news for Vitor Belfort is “Bones” is still a whopping 8-to-1 favorite to slaughter him on September 22nd. The show’s co-featured attraction between Joseph Benavidez and Demetrious Johnson should provide a slightly more competitive scrap. Benavidez checks in as a 3-to-1 favorite, while “Mighty Mouse” is pegged as more than a 2-to-1 longshot to become the Octagon’s first flyweight champion. “UFC 152: Jones vs. Belfort” jumps off inside Air Canada Centre in Toronto.